We are in Pantelleria, a small volcanic island in the middle of the Mediterranean, closer to the African coasts than to the Italian ones, an island beaten by the wind and waves, where the lava fields warmed by the sun give the grapes unique hunches and aromatic freshness which we will then find in the wines. The Muscat of Alexandria, a vine that was brought to Pantelleria by the Arabs, finds its land of choice here, the vines are cultivated as saplings, so low that they can capture all the heat of the earth and thus favor the maximum maturation of the grapes; the result is a sweet, fresh and extremely elegant wine. 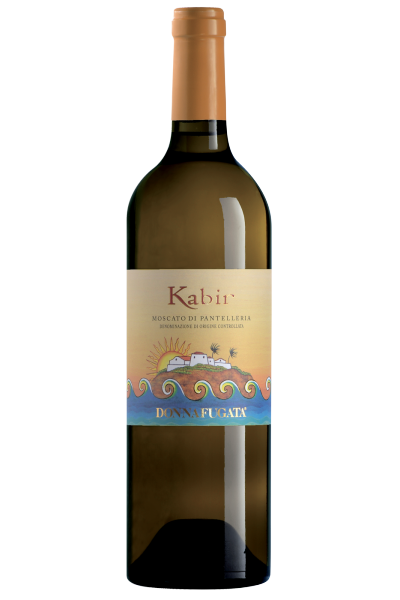 Bright golden yellow color, it gives intense and varietal aromas of yellow rose and melon, peach syrup, candied orange and orange blossom honey. At the sip it is delicately fresh, perfectly matching the smell and with beautiful acidity to balance everything. Excellent aperitif with smoked fish and kalamata olives, with fresh goat cheese, with traditional Sicilian sweets and with fruit or jam tarts. Simply perfect if paired with a plate of spaghetti with bottarga.